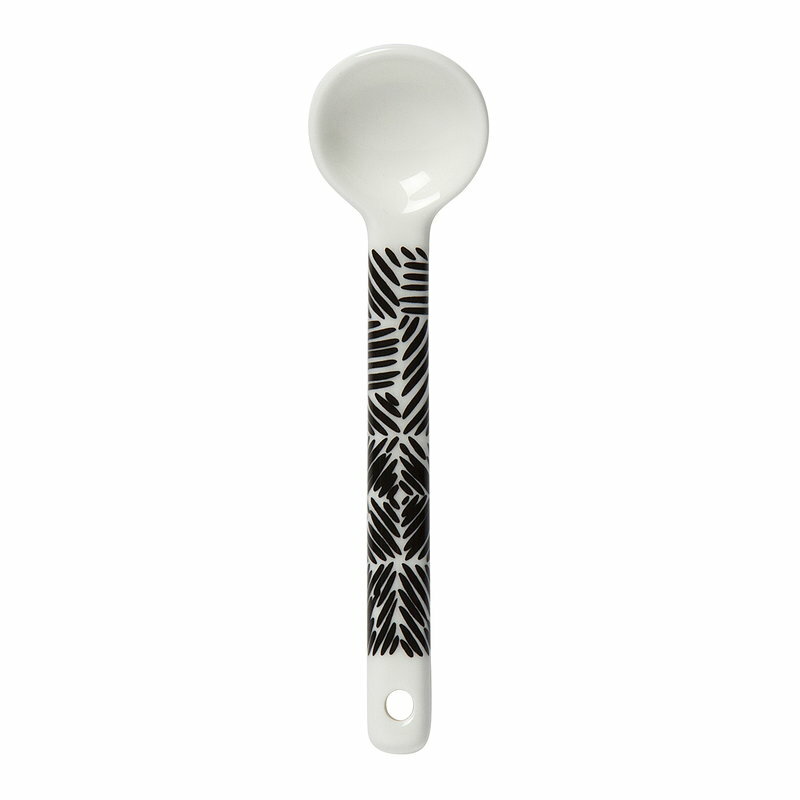 Marimekko’s Juustomuotti spoons are adorned with Paavo Halonen’s geometric pattern. Finnish for a cheese mould, Juustomuotti was inspired by traditional wooden cheese-making moulds that are often decorated with ornamental carvings. Sold in a pack of four, the small ceramic spoons are part of Sami Ruotsalainen’s clean-lined Oiva tableware collection that suits both casual and festive settings. Suitable for oven, microwave, dishwasher and freezer.